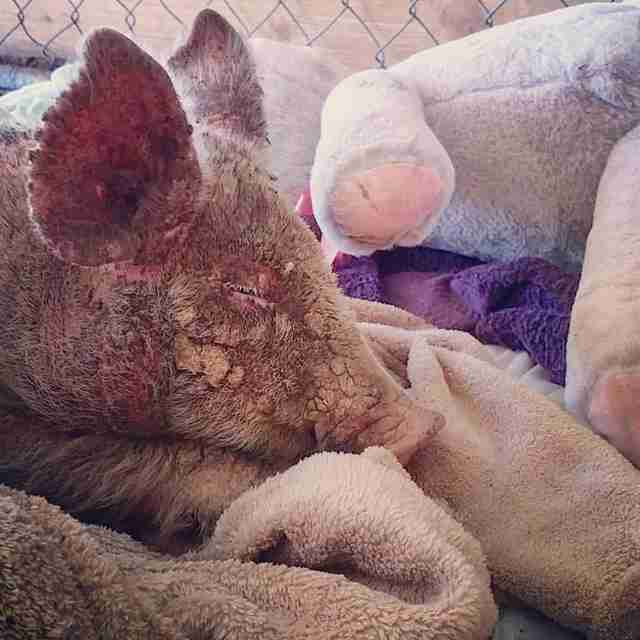 "Even though she was in so much pain, she’d snuggle up and want us to rub her belly." 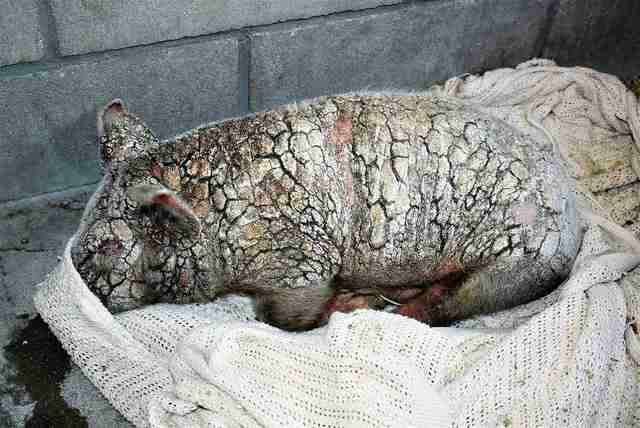 The baby piglet was so sick, no one thought she’d make it. 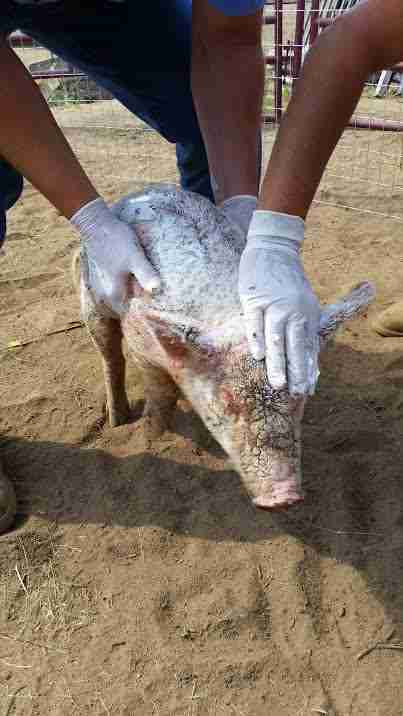 A man had dropped the piglet off at a shelter near Temecula, California. 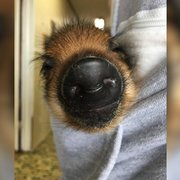 He told the shelter workers that the piglet was a stray, but the shelter thinks the man might have actually owned the pig, according to Sale. 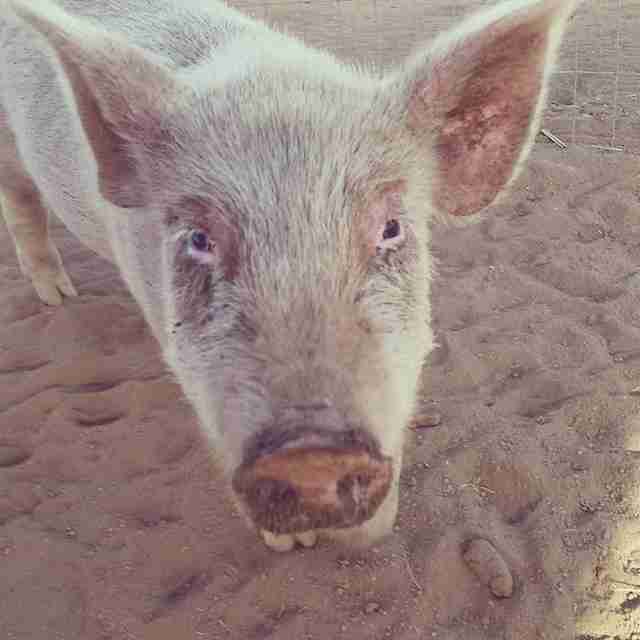 The shelter, however, wasn’t equipped to care for a pig — it mainly took care of dogs and cats. 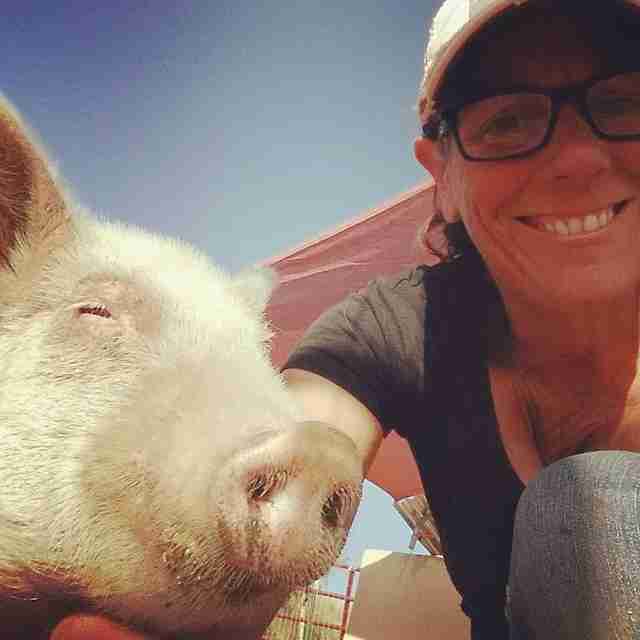 So the workers contacted Sale, who runs a nearby farm sanctuary, and asked if she’d take the pig, later named Cherry Blossom. Sale, of course, said she would. 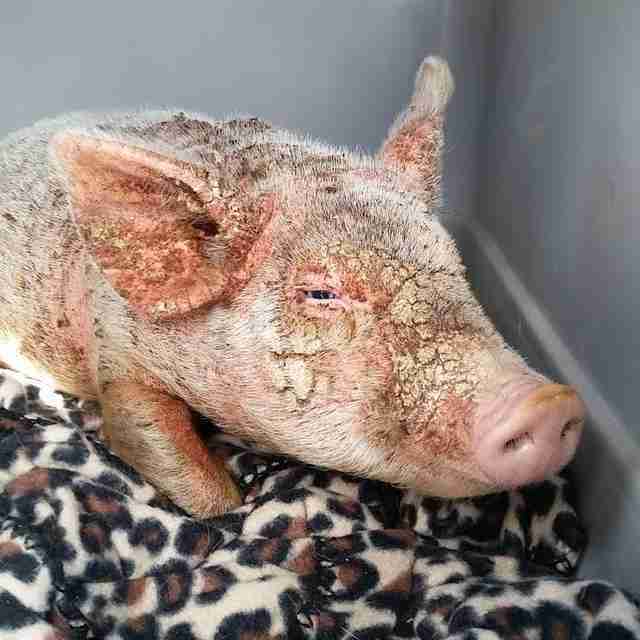 While no one knows exactly what caused Cherry Blossom’s mange, Sale suspects the baby pig lived in squalor at her former home. 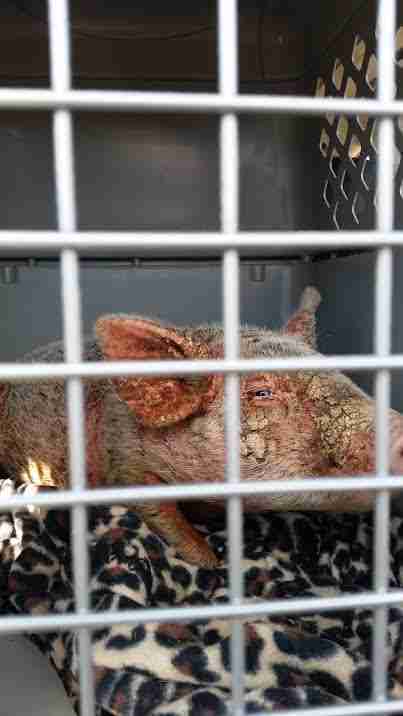 The mange didn’t just look bad — it was obviously causing Cherry Blossom a lot of agony. But Cherry Blossom was still incredibly affectionate toward Sale and her husband. 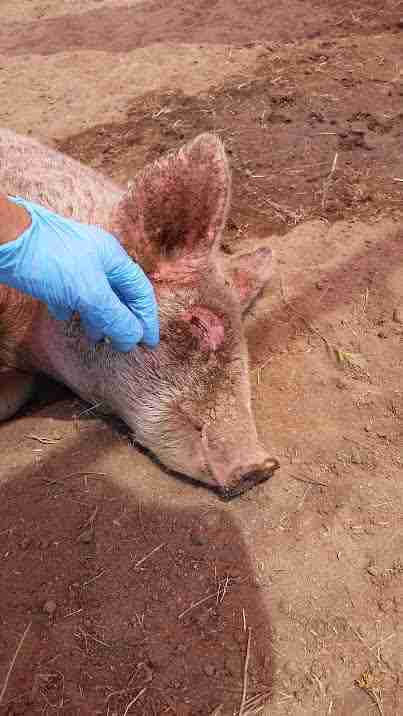 With the help of a veterinarian, Sale started treating Cherry Blossom with healing cream rubs and laser light therapy. 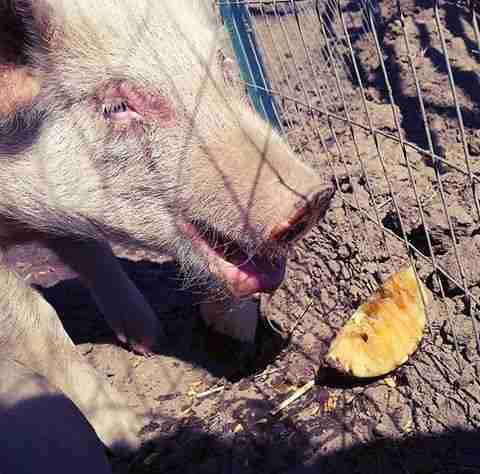 Now, two months later, Cherry Blossom looks like a completely different pig — and she probably feels different as well. With Cherry Blossom feeling better, her full personality is finally coming out. Cherry Blossom is so gregarious, Sale decided to pair her up with one of their rescued calves, Faith. 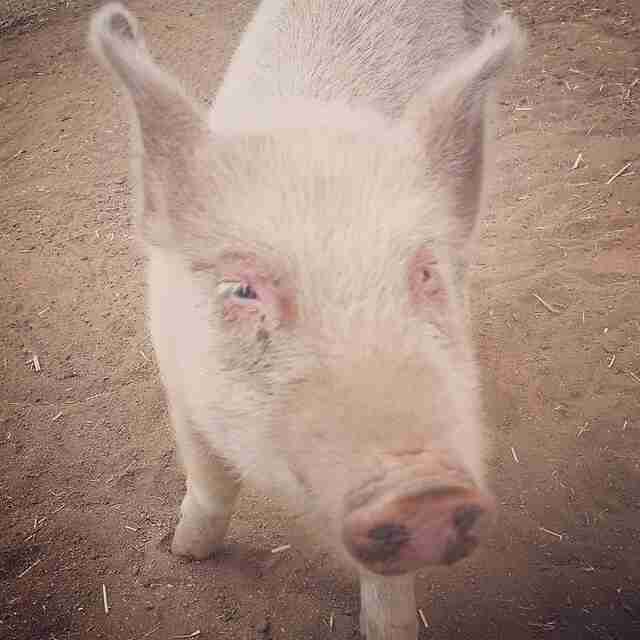 To help give Cherry Blossom the best life possible, you can make a donation to Sale Ranch Sanctuary.